Electrobrick is a line of compact electronical modules with many different functions. 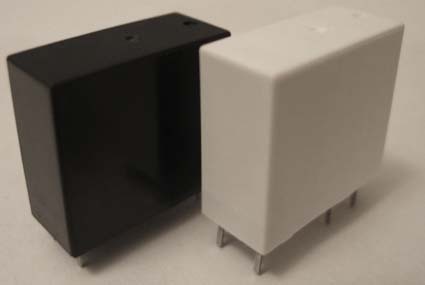 The "bricks" are small enclosures, that have the same shape as the common industrial relays. This has the advantage, that normal, globally available low-cost accessories from relay manufacturers can be used with these modules. 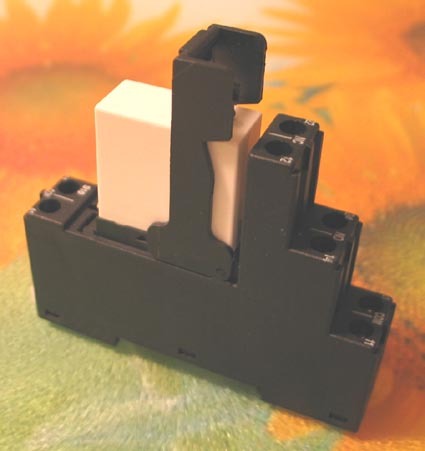 The Electrobrick's can be bought already installed on DIN rail sockets with screw terminal connections. Available accessories are labels, jumpers and LED indicators. On request, other types of sockets can be delivered. The modules can also be bought without sockets, for customers who want to solder them on PCB's, install them in very space-critical places (eg. behind light switches in buildings) or who already have their sockets from other sources. The concept of Electrobrick is to bring an intelligent, flexible but still low-cost solution to cusomers who want to be competitive in a changing world. These units have the advantage of being "Plug-and-Play". Installed on sockets they can be set up or exchanged within seconds. 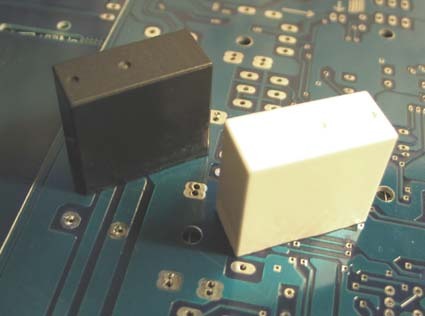 Switch boards can be pre-manufatured with sockets and the final design can be chosen at the very end by plugging in the modules that are needed. For instance a machine with a temperature sensor can be pre-manufatured and at the end the sensor type and Electrobrick module can be choosen according to the accuracy and price of the machine (eg. Pt100, thermocoupler, digital sensor etc.). The Electrobrick line is right now being developed and tested. Prototypes and pre-series may be delivered within short time. The functions that are included in the Electrobrick concept are: Converters, Optocouplers, Logical units, Intelligent relays, Protection modules, Supervision and Indication units, DC/DC converters, AC/DC converters, Filters, Distributed I/O's (bus system), Voltage and current sources etc. If you have a project, where you can see the advantage of using this technology, then don't hesitate to contact us. We are also open for new requests about not yet existing versions.